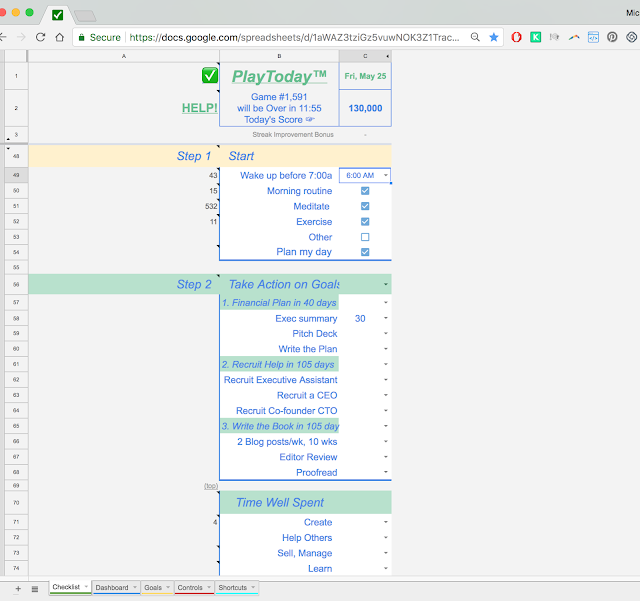 What you are looking at is the far right side of a laptop screen, showing the far right side of a browser window on top of a small sliver of the PlayToday™ checklist. We like this arrangement a lot because it serves to be a gentle reminder to be doing the most important things while we are doing all those other things. It's always ready to record your activities. To inspire you with that fresh quote. Notice how the top window is trimmed short of full length at the bottom, to reveal the tabs at the bottom of the checklist for direct access with two clicks. And down here we have PlayToday™ on the left in a separate browser window, so it's always visible to keep us focused and doing the most important things. 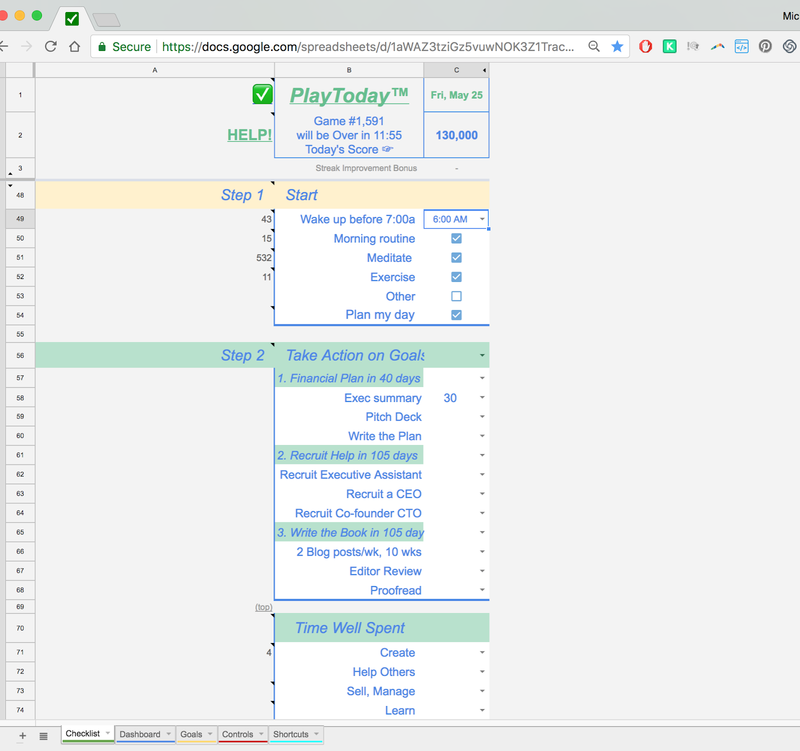 This layout is better because the popup Notes show up to the right of the cells and in the arrangement above those notes could not be read unless the window was repositioned. Finally, it's the full browser window version, below. Notice how column A is extended to that the main area of the checklist is centered in the tab so that it feels much more balanced compared to having column A much narrower and everything is squished over to the left. I like this view the best.